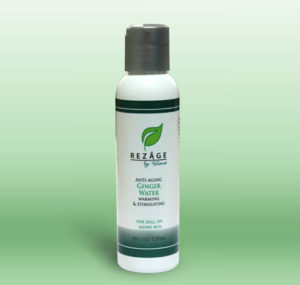 Ginger is known for many benefits—it’s anti-inflammatory, anti-bacterial, stimulating, and very refreshing! After washing your face with one of our cleansers, apply a small amount of ginger water onto a cotton disk or swab and gently wipe your face and neck area. Now your face is nice and prepped for one of moisturizers, appropriate for your skin type.